SATTO® Rapid Repair Systems are a revolution in repairing damaged aircraft cabin interiors. Fully compliant with REACH, MSDS requirements and setting the industry standard for engineering support with EASA Approved Technical documents. SATTO® Rapid Repair Systems are fast, ultra-strong and long lasting. Following our clear instructions, repairs can be carried out on-wing or in a workshop — no need for specialised tools or lengthy technician training. Damaged plastics are repaired using SA20-21. Supplied in easy to use clip bags – simply remove the clip and shake the bag to mix the products. Each bag contains 30g of SATTO® SA20-21. SA20-21 is supplied in boxes of 15 clip packs. Contact us for more information and/or to find out about our Training Programmes. The latest product in the SATTO® range is the SOLLUX system – the rapid repair system for cabin interior composite components. Aircraft interior composite components commonly incur damage that that includes (but not limited to) crushed/cracked skin, delamination/blistering on skin due to water ingress, impact damage and pulled inserts, delamination of skin on composite panels, chipped/scratched composite skin. Adhesive bonding of these repairs offers major advantages for repairs of these components, avoiding fibre breaking and stress concentration as it does not require drilling of holes through the material. However, with a curing period of between 2-28 days at room temperature, this affects the aircraft downtime while the products are curing. SOLLUX provides the all-inclusive versatile solution in this innovative repair system. The resin is supplied in a one-shot semkit form. Fast cure SA30-30 cures within 15 minutes - perfect for on-wing work and repairing simple cracks and dents to the composite. For more complex repairs, SA10-10 is the pre-preg material. This new product has unlimited working time and is cured by a light source (rather than heat source). Applied in layers of up to three at a time, this material is a fantastic, swift and effective alternative to the traditional repair systems. SA10-10 is supplied in three-yard lengths. 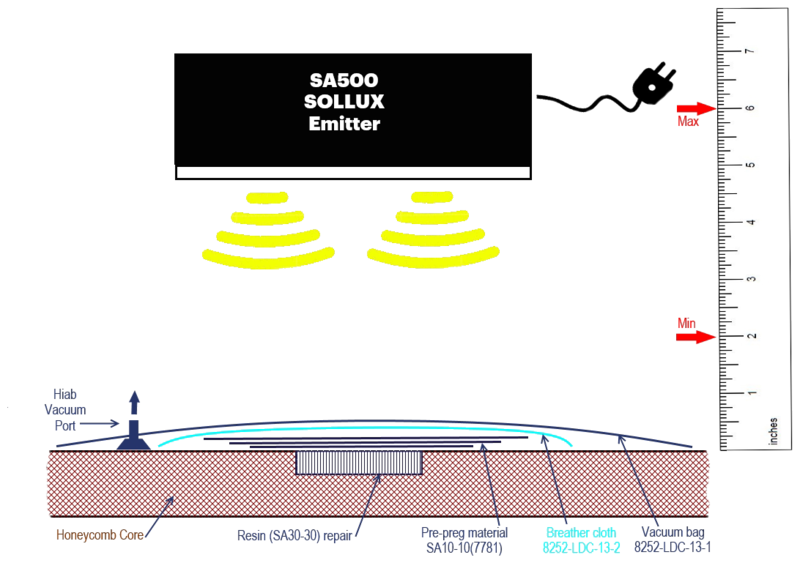 The SA500 Light Emitter has been designed specifically for use with SATTO® product, curing the SA10-10 in just three minutes. The radiant head has a quartz crystal emitter bulb, with gold inducer caps to magnify the radiant source. A dual cooling system is housed within the base and the emitter head. Units are supplied calibrated and require recalibration after 800 hours of use and/or one year after issue whichever is sooner. Repairing on-wing or in a workshop – whether for placing inserts, addressing cracks and dents in overhead bins, or repairing a crushed sidewall, SOLLUX Rapid Repair Systems will achieve fast, flawless results. Full training and support offered, contact us for details. To carry out more complicated repairs such as missing tabs, clips and edges, order our moulding kit OHYA-13-1. Make a mould from an undamaged part. 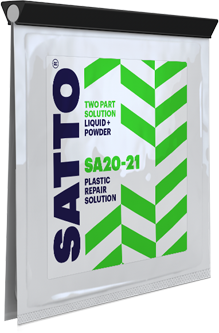 Then, using the mould with the damaged part, mix and apply SATTO®. The video on the right shows how moulding blocks are used. These dual strength magnetic clamps assist doubler placement well beyond edge repairs. The distinctive units have also been manufactured to resist the bonding force of the SATTO® systems so, unlike old-style clamps, they won’t get stuck in place. With the added bonus of being compact and lightweight, they don’t distort the area during cure unlike more traditional clamping systems. Another unique feature is MagnaClamp’s dual strength capability; just turn the paired pieces around and increase the ‘grabbing’ effect. MagnaClamp – amazing, simple, and incredibly effective. 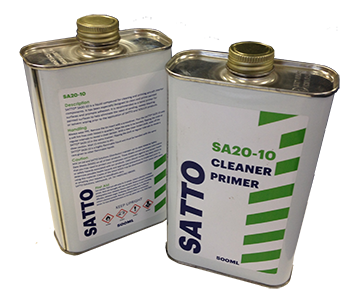 SATTO® SA20-10 is a liquid compound for cleaning and priming aircraft interior components. It has been specifically designed to clean and prime painted surfaces and promote adhesion. It is recommended as a bond primer for painted surfaces to help eliminate the need for sanding, sweep blasting or solvent wiping prior to the application of SATTO® products. For repairs where use of a doubler is required, we supply approved plastic doublers to reinforce and strengthen the repair. All our doubler products are covered by a 12 second combination burns test that can be provided with the material. Doublers are available in various sizes and thicknesses and are delivered in packs of between 40 and 80 doublers per pack. To see our doublers being put to their most effective use, have a look at our videos. 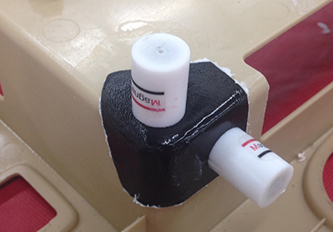 Use a vac former to form the doublers to ensure a strong, long lasting repair. 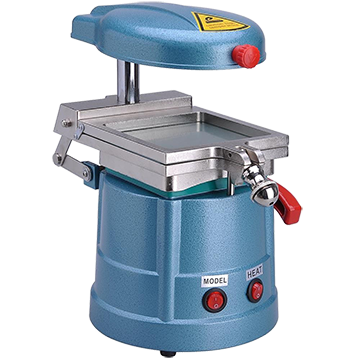 This user-friendly system has heavy duty vacuum motors providing precise downward suction, creating durable and moulded doublers for use with the SATTO® Rapid Repair Systems. Available in mini (portable) or standard (workshop) sizes. SATTO® Solutions provides our customers with dedicated bespoke training programmes. 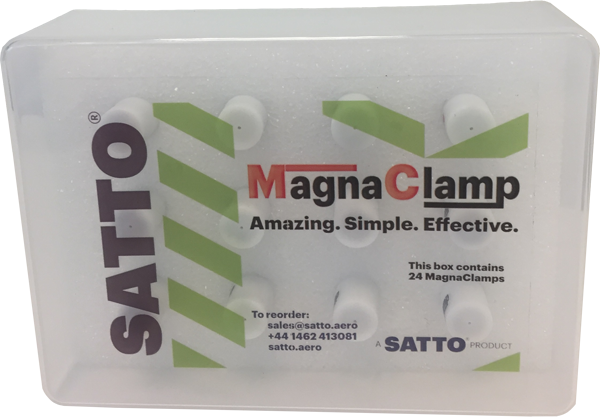 These are held either at the customer’s location, or at our SATTO® workshops in the UK. 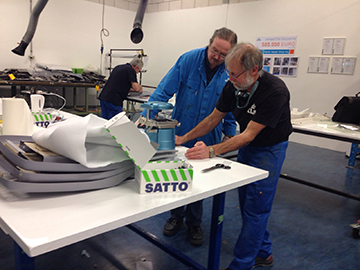 The aim is always to ensure that all technicians are confident and well-rehearsed in all SATTO® repair techniques. Trainees are encouraged to bring their own broken plastic and composite parts to the sessions. This ensure best practice, confidence and knowledge is gained for trainees’ own real world examples. This is then followed up with Train the Trainer programmes (if required) and update and refresher sessions to make sure that skills are developed and maintained within the organisation. Cabinair Services offer repair services to your damaged plastics and composites by fully trained SATTO® technicians. Cabinair Services Ltd is now the sole Non-Airline SATTO Approved Repair Centre in UK and Ireland. As an EASA Part 145 company, catering for a wide range of dedicated MRO services, Cabinair Services carry out repairs to Plastic and Composite Aircraft Interior Components, fully EASA Approved and Compliant. Support can be offered on-wing, at your preferred location, or parts can be sent to the UK workshop for repair and return. Components are repaired to a high standard and returned in ‘as new’ condition released with EASA Form 1 certification. SATTO® has now opened a Plastic and Composite Repair Facility in Florida, USA. Known as SATTO Repair Center USA, repairs are carried out at a new FAA/EASA Repair Facility specializing in cabin interior repairs. Components are repaired to a high standard and returned in ‘as new’ condition released with FAA 8130 certification. Contact us for details. 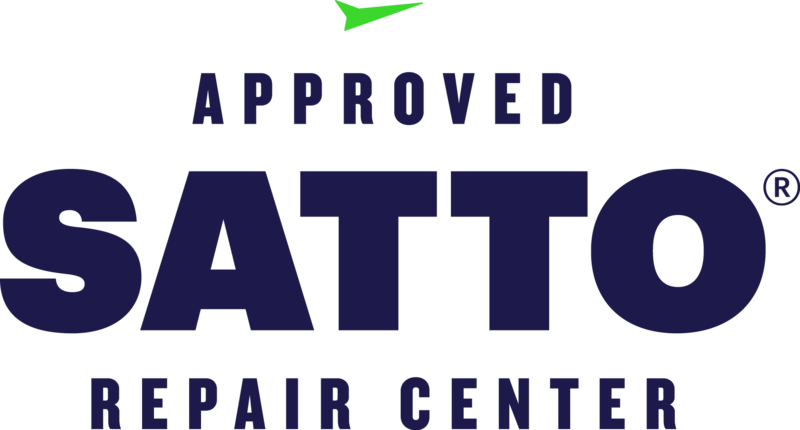 SATTO Repair Center USA’s new facility operates in collaboration with MEKCO Group Inc.
MEKCO Group Inc. is based in Miami, Florida and is a winner of the TOP SHOP 2018 and 2019 Awards for best In-Flight Entertainment Systems Repairs. 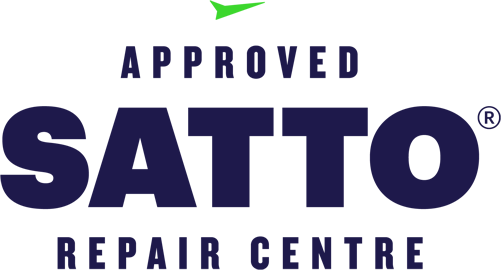 Established in 2008 as an FAA and EASA repair facility, the Group specializes in the maintenance, repair and overhaul of IFEC, cabin and galley equipment. The company offers cabin interior plastics repair, cabin maintenance and installation for IFEC and electronics. 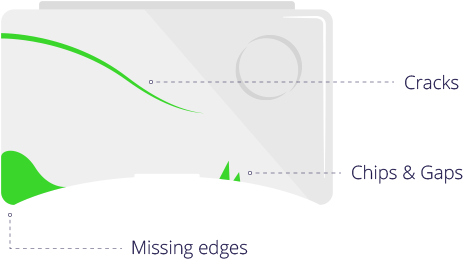 In addition, it provides parts inventory for purchase or exchange. 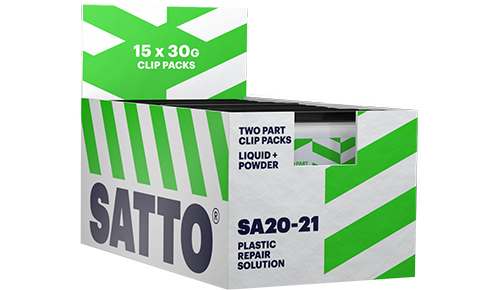 SATTO® is available exclusively through SATTO Solutions Limited. To submit an enquiry, order SATTO® or simply to register your interest, fill in the form below.